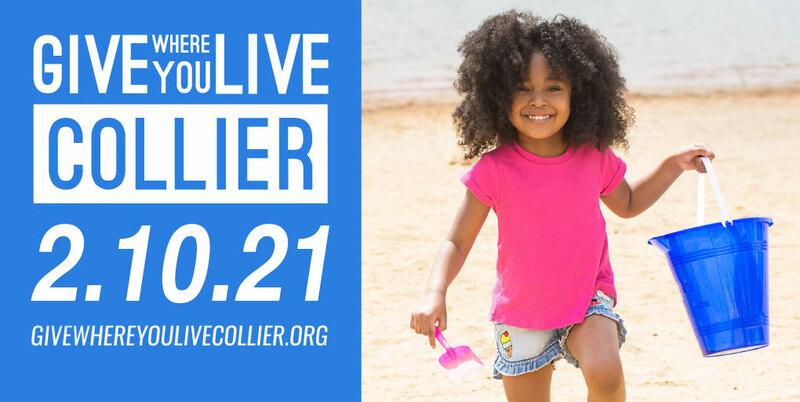 The Greater Naples YMCA is a proud partner of Give Where You Live Collier, our region’s awesome 24-hour online giving challenge. This exciting event is organized by the Community Foundation of Collier County and is set to launch at noon on February 20. So, mark your calendars now, because we will need your help raise funds during this 24 hours of local giving! We are asking our members, volunteers, staff and supporters to give whatever they can, because every gift will be multiplied through a matching fund. The more money you help the Greater Naples YMCA raise, the larger percentage of the $500,000 matching fund we will receive to help supports kids, adults, seniors and families with programs that protect, teach, connect, heal, nourish and encourage. So join us for this community-wide event, and together, we’ll show off Collier County’s spirit of giving, raise awareness about the Y and celebrate the collective effort it takes to make this region great. Your support during this event will transform lives! What is Give Where You Live Collier? For the fifth consecutive year – the Community Foundation and the Richard M. Schulze Family Foundation have partnered to present Give Where You Live Collier. Donations are accepted through www.givewhereyoulivecollier.org/organizations/greater-naples-ymca. When does Give Where You Live Collier take place? Donate Online: Begininng noon on Wednesday, February 20, you can go to www.givewhereyoulivecollier.org/organizations/greater-naples-ymca to donate online. Although GiveWhereYouLiveCollier.org features 40 selected Collier County nonprofits, residents from any location who have Internet access can donate online. Donate by Check: You may give a check to the Greater Naples YMCA at any time prior to 10:00 am, February 21 (instructions below). Your donation will help us to receive a portion of the match. Must be made out to Community Foundation of Collier County with "GWYL Greater Naples YMCA" in the memo line.